Syllabus of the Online Course (Subject): India-South Korea Economic Partnership Agreement (EPA). Description of the Online Course: India-South Korea Exhaustive Economic Partnership Agreement. 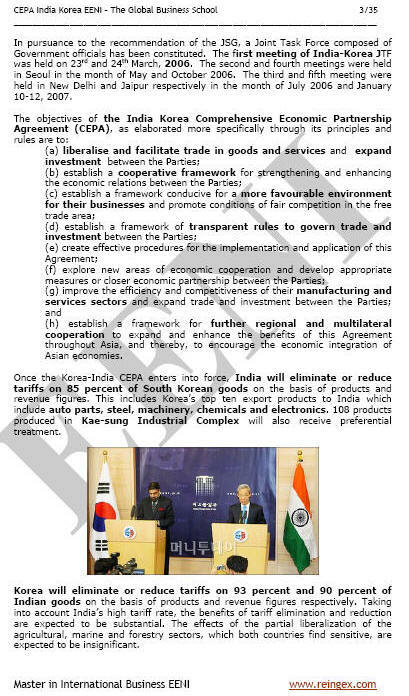 The Comprehensive Economic Partnership Agreement between India and South Korea entry into force in 2010. The India-South Korea Exhaustive Economic Partnership Agreement (EPA) will eliminate or reduce import tariffs on 85% of South Korean export products. International Trade between India and South Korea has been growing quickly in the last years.